The Oriental Rivoli Hotel is located in a quiet area of Naama Bay, yet just a few minutes walk from the lively town centre. It offers 4 star oriental luxury, with its own unique charm and style. The prestigious location of the Oriental Rivoli is perfect for holiday visitors to Sharm who prefer the smaller new style boutique hotels, with all the luxury of the huge five star resorts but including the warmth and intimacy only boutique hotels can offer. 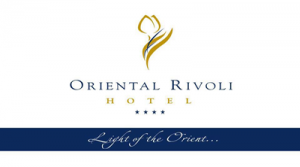 The Oriental Rivoli is tastefully decorated throughout with original oriental designs. The ambitious interior designer has created a superbly exciting project to suit those that are like to stay somewhere out of the ordinary with its,fanciful and stylish yet comfortable accommodation.